Our 2016 survey of school district transportation departments found that 90% of respondents had a shortage of school bus drivers. Meanwhile, more than three-fifths of districts surveyed raised driver pay this year. 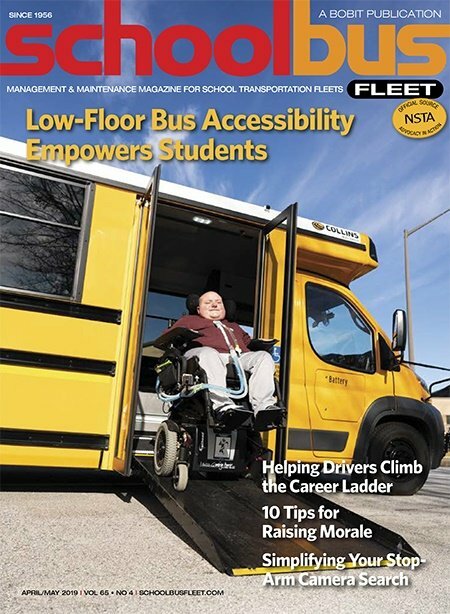 This edition found that the average starting wage for contractors’ school bus drivers increased 42 cents to $15.57 per hour. Boosting pay was just one of myriad steps being taken to recruit and retain drivers. This survey is sent to managers and supervisors at school district transportation departments and bus companies. Survey topics covered include the proportion of special-needs students transported by respondents, challenges in busing these students, training topics and resources for training, and mainstreaming of special-needs students. Includes such information as bus classifications for each offering from the large and small school bus manufacturers, suspension type for chassis and fuel type for available engines. 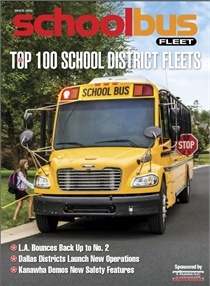 Provides a ranking of the 50 largest school bus companies in North America by fleet size. 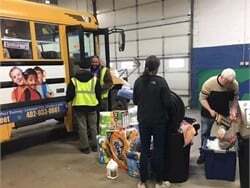 Additional figures reported include the number of students each company transports and the number of school district contracts each company has. Provides a ranking of the 100 largest school district fleets in the U.S. Additional figures reported include route mileage per bus, starting hourly pay for drivers and the degree of driver shortage at each district. This survey is sent to executives and managers at school bus contractor companies. The survey includes information on driver wage and manager salary, driver shortage, bus purchasing and alternative fuels, among other topics. This survey is sent to directors and managers at school district transportation departments and school bus contractor companies. The survey covers equipment that's included on respondents' buses, such as GPS, lap-shoulder belts, cameras and student tracking systems.